I am a technology nut and love Apple products. I also enjoy a life of faith. I like watching sports and enjoy a photography hobby. 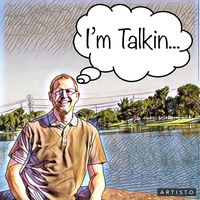 My career has been focused on manufacturing and I am trying my hand at consulting to share my talents.You can find me at mearigbusinessconsluting.mearigfamily.com You can read my long form blog at mearigfamily.com.